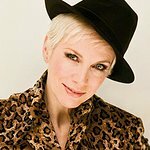 Annie Lennox has continued her protests over the terrible and horrific violence currently underway in Gaza by releasing a new statement explaining her actions. “I have made my position very clear. I do not believe that there is a military solution to the situation in Gaza. I support peaceful conflict resolution, and dialogue, which HAS to take place inevitably in order to resolve the situation in any case. I do not believe that the deaths of hundreds of innocent civilians will solve anything. It will only make things worse for everyone, on BOTH sides. I am posting a video from the head of the UN Relief and Works Agency in Gaza, who is saying EXACTLY what I have said consistently. “There has to be an absolute cease fire as soon as possible. The reason why I spoke out when I did was because at that point in time there was a tiny window of opportunity to prevent a blood bath on both sides BEFORE the ground troops went in. “I have NEVER condoned suicide bombings, or the firing of missiles into Israel. I repeat… The slaughter of innocent lives on BOTH sides is abhorrent. I am not “anti Israeli”, nor have I EVER been, and for anyone to say that I am is profoundly offensive and completely wrong." The singer was criticized for her statements earlier this week – in which she called for an end to the carnage – and her participation in last weekend’s peace rally in London.